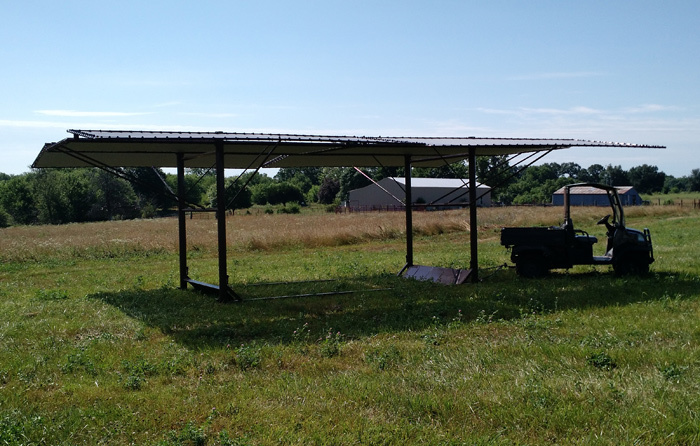 For cattle, equine and sheep! 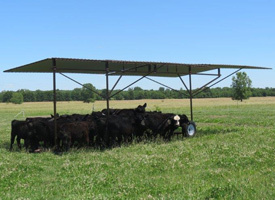 Whether it’s moving livestock daily to new grazing paddocks or in dry lot situations, the MSF LIVESTOCK SUNSHADE will fit most farm/ranch operations' livestock shading needs. 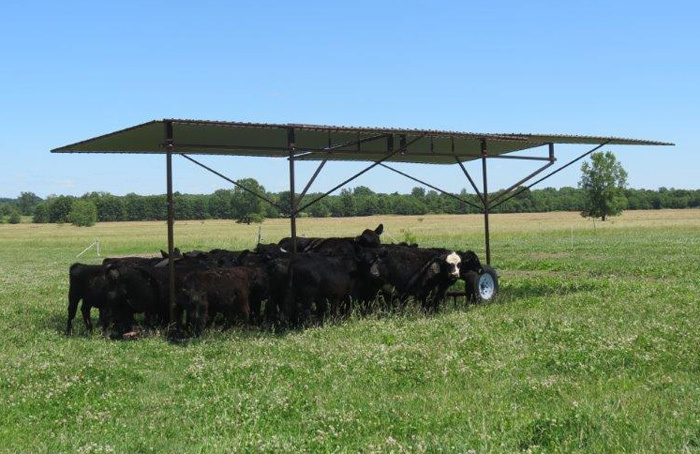 The MSF Livestock Sunshade is designed and manufactured for many years of use and will pay back dividends to the livestock operation. 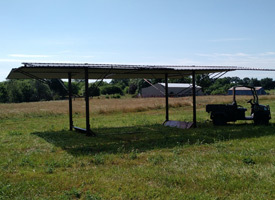 The sunshade also comes with a wheel option and can be pulled by even smaller ATVs!